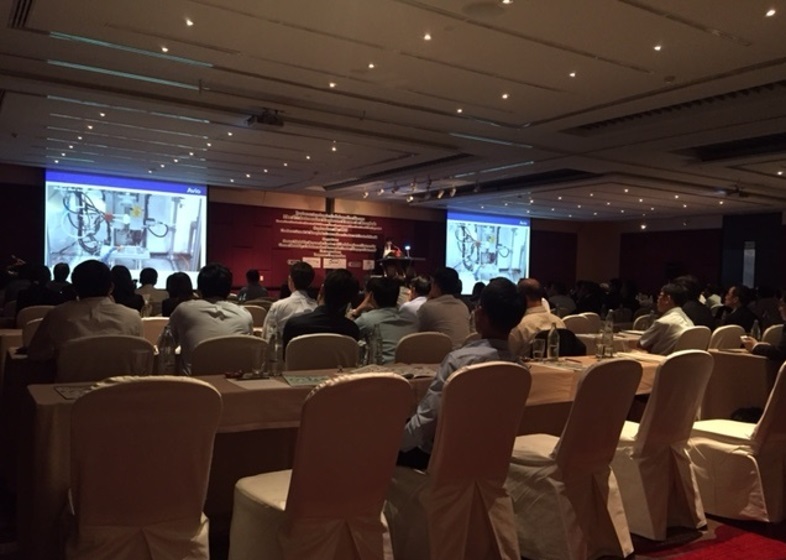 Automotive Engineers Forum Bangkok 2nd was held on September 30th and IMV (Thailand) joined as an exhibitor and made a technical speech at sponsor session. The presentation was about “what is vibration test” and it was about 20 minutes explain the importance of environmental testing and increased applications in Thailand. The demand in Thailand for vibration testing has been stronger for past 5 years, so we have insisted that the automotive manufacturers can safely move their testing or R&D department to Thailand with good support and testing environment from the supplier just like us. The attendees were 117 and all are automotive related suppliers. In last forum, we could see more academic or government visitors, however this time it feels more commercial field communication exchange. 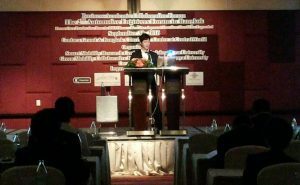 Next form “3rd Automotive Engineers Forum in Bangkok” will be held on July 21st, 2017, 250 attendees are expected.